The Healthy Campus Coalition (HCC) was formed in the fall of 2013 with the goal of bringing together ideas and resources among SIU and community constituencies to create a healthier environment and to foster healthy behaviors among SIU students. The University has the opportunity to help shape life-long healthy behaviors by empowering students with the knowledge and skills to take charge of their health. By, nurturing student health through evidence-based, collaborative programming efforts, we can enhance student success and support the mission of our University as well as encourage student retention and graduation. 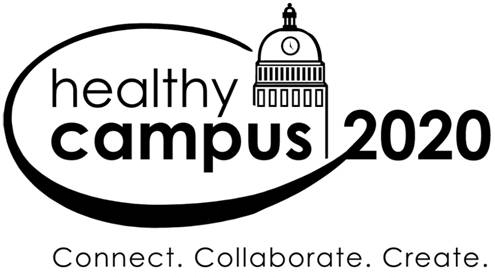 Healthy Campus Coalition is committed to working to achieve Healthy Campus 2020 goals and objectives. The HCC serves as an advisory board for programs and services impacting the health of our students. The coalition meets semesterly. Health-related areas of priority were identified after examining several different assessments of student health behaviors and the physical environment of SIU. Assessments included the National College Health Assessment survey, the Core Alcohol and Drug survey, a campus environmental audit, and the Alcohol Edu program. Based on the campus assessment, several priority areas were identified: Alcohol and Other Drugs, Mental Health, and Violence Prevention. Currently, only two of the priority areas have active Action Teams that are working to address the determinants of health to improve student health. The Alcohol and Other Drug (AOD) Action Team strives to create a campus environment where students are educated on the effects of consuming alcohol and other drugs and where responsible use of alcohol is the norm. Our work focuses on reducing the misuse of alcohol and other drugs by implementing evidence-based strategies at the individual, campus and community level. Individuals interested in working with the AOD Action Team will assist in planning and implementing campus outreach events, social media campaigns, peer education and policy review and recommendation. The sexual violence action team is dedicated to creating a safe and inclusive campus environment free from sexual violence. Our goal is to stop sexual violence before it begins by providing the education and resources necessary to help students build healthy relationships. Our work is driven by a comprehensive approach to prevention that addresses the individual, relationship, social, and cultural influences of sexual violence. Students that would like to be involved with the action team may participate in assisting with social media campaigns, community outreach initiatives, program implementation, or policy review and recommendation. Resources around campus to help you stay healthy. Get involved to help make SIU a healthier campus! Meetings are the first Friday of the month at 9:00 a.m. in Student Health Services room 111/112. Contact Dawn Null for more information. Student health is everyone’s business. A University that fosters optimal student health by creating a healthier environment and promoting positive choices and behaviors.